1. 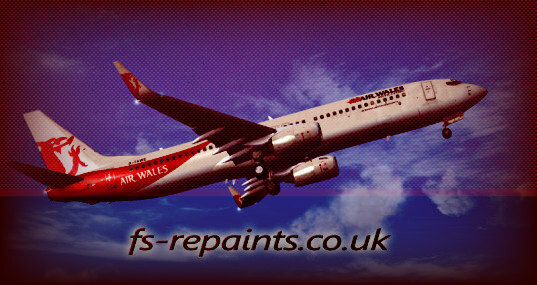 A livery can sometimes take longer than the time stated due to certain paintkits and complex details. 2. Once work on the livery has been done, a download link will be sent to the customer. NO REFUNDS CAN BE ISSUED AFTER A DONWLOAD LINK HAS BEEN SENT. 3. Any additional details requested after a livery has been delivered will be subject to an extra charge. However, errors in the livery or details left out by myself will be corrected for free. 4. If you choose the 'Not Listed' option from the Aircraft Required part of the form, PLEASE MAKE SURE THERE IS A PAINTKIT AVAILABLE FOR THIS MODEL. THANK YOU. Unfortunately I do not have the time to trawl the internet looking for paintkits. After filling the details click on the SUBMIT button. All liveries cost £10 regardless of complexity.